The most important physiologic mechanism that actively controls blood flow in the lungs is hypoxic pulmonary vasoconstriction. Hypoxic pulmonary vasoconstriction is a direct response of vascular smooth muscle in pulmonary arterioles to decreased alveolar Po2. 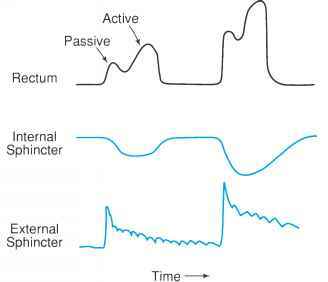 The cellular mechanism involves potassium channels in the pulmonary artery endothelium that are sensitive to O2 level. Hypoxic pulmonary vasoconstriction can be reduced by low concentrations of inhaled nitric oxide (20 ppm NO) in humans. NO also relaxes systemic vessels through a cyclic guanosine monophosphate (cGMP) pathway. Hypoxic pulmonary vasoconstriction is not a reflex response, and it can even be induced in rings of pulmonary arterioles in vitro. This is opposite the vasodilatory effect of hypoxia in systemic arterioles. A direct vasoconstrictor response to local alveolar PO2 allows blood flow to be selectively diverted away from poorly ventilated regions of the lung. Hence, hypoxic pulmonary vasoconstriction is important for matching unequal distributions of ventilation and blood flow throughout the lungs. However, this response might be more important during the transition in the circulatory pattern at birth. Pulmonary blood flow is only 15% of the cardiac output in the fetus. Po2 is relatively low in amniotic fluid, so hypoxic pulmonary vasoconstriction helps keep the pulmonary vascular resistance high in the fetus. At birth, the alveolar PO2 increases with the onset of air breathing, and pulmonary vascular resistance decreases dramatically so the lungs can handle 100% of the cardiac output. Figure 14 shows the effect of Po2 on pulmonary vascular resistance in a newborn animal; note that the main effect of PO2 occurs at very low levels. However, blood pH has an effect even at high PO2, so the increase in pH with the onset of air breathing will also reduce pulmonary vascular resistance in the newborn. Other physiologic factors capable of influencing the pulmonary circulation include a weak vasoconstrictor effect from the sympathetic nervous system and potent vasoconstriction by endothelins, which are peptides released by pulmonary epithelial and endothelial cells (e.g., ET-1).